Indian Lotus (sometimes also walrus) is one of the sacred plants of Ayurveda and is unique in the plant kingdom on many occasions. 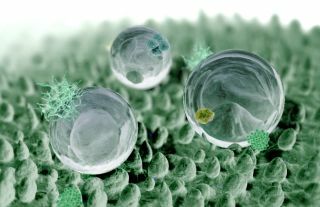 This aquatic plant is one of the most important adaptogens. The entire plant is edible, but it is grown relatively difficult, so it is mainly used as a medicine and tasting. For human consumption, the most important are rhizomes growing in mud and seeds (lotus nuts) that mature in target funnels protruding above the surface. From the lotus nuts, a bitter (plumula nelumbinis) is removed before consumption, but it is edible and used as a medicine with anti-inflammatory properties. Medicinal properties also have a leaf of this plant - folium nelumbinis. 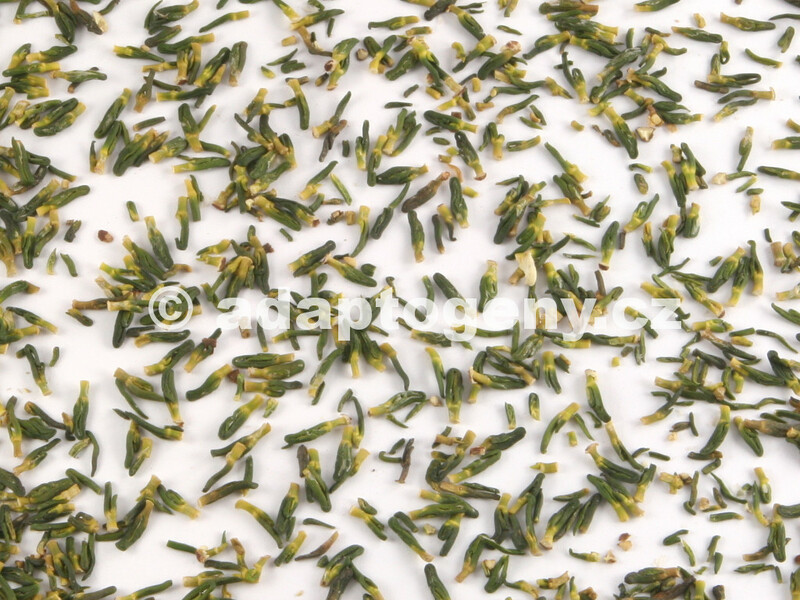 It has a mild diuretic and laxative effect and is considered a suitable dietary supplement in the diet. Its main active substances are lotus flavonoids, which are also present in a lesser degree in other parts of the plant. Lotos walnuts further (according to TČM) act against aging , soothe the mind, improve sleep , strengthen the immune system, improve digestion and overall strengthen the body. They also improve sexual function. 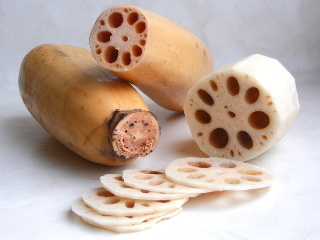 Even more effective are lotus rhizomes or tubers. 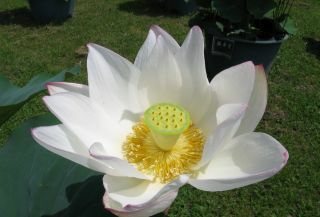 However, each part of the lotus plant is used in medicine. 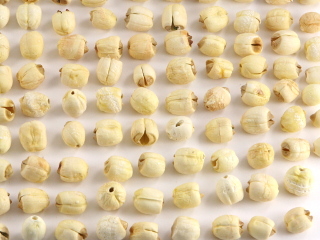 They collect and dry flowers, leaves and even bitters (embryos) that normally remove from their lotus nuts for their bitter taste (they have anti-inflammatory and soothing effects). 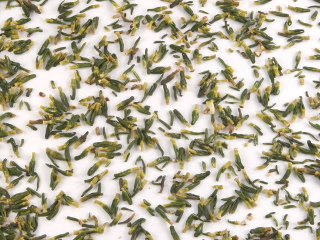 Lotus leaves are considered a suitable supplement in the diet. We do not have to believe in his religious sanctity in order to recognize the lot as exceptional. Although it is a aquatic plant, it is the age of forest trees and survives the same habitat of tens and hundreds of years with the help of root moss moored in the mud. Evolution of the lotus is therefore very slow, so this plant (much like a gentian) is very ancient, living fossils. The life of the lotus plant usually ends until the water surface is dry, where it grows. This can happen, for example, by earthquakes (in areas where the lotus is growing, the frequent earthquakes are frequent), by changing the river bed or by changing the local water conditions. But the lotus is perfectly prepared to change the water conditions. It has a madly long shelf life. Undamaged lotus nuts retain germination for more than 1000 years! Lot seeds do not bother to germinate and germinate for the first few years until they have absolute certainty that they have a stable water surface above them. 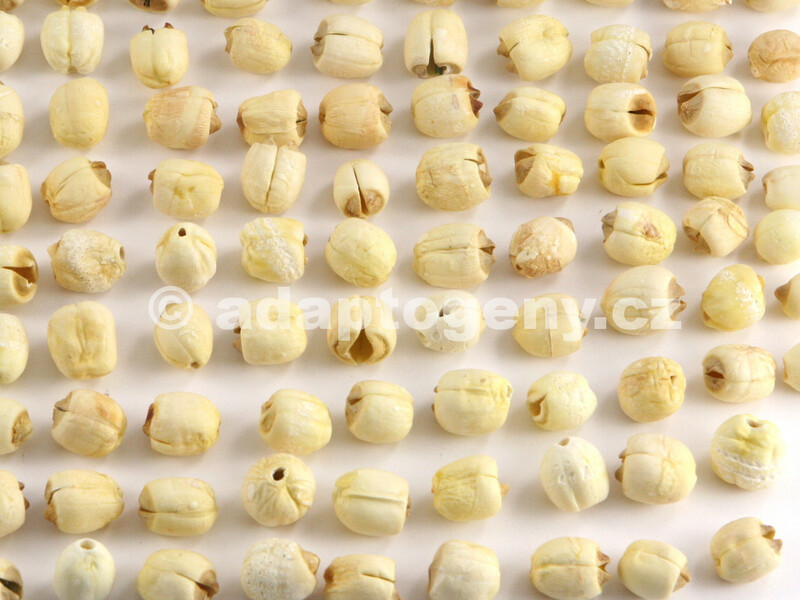 The lotus nut needs several years of staying in completely soaked soil to begin to germinate. In this way, lotus seeds are able to wait until the river is again drenched to flow in the same place, or else there will not again appear a water surface for another reason. 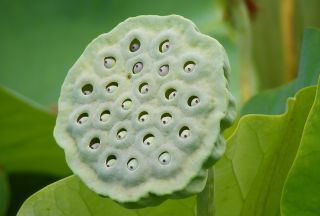 The extraordinary size and high content of nutrients in the lotus seeds will allow them to germinate from the depth of the mud above the water level. The ability to germinate seeds after several centuries is also a defense against predators - the lotus in the pond will again grow tens of years after the last rattlesnake rats in a given place packed a trade. It would be interesting to know how the lotus has a long shelf life. Partly it also contributes to the leakproof shell, but it is clear that lotus nuts must also be equipped with highly effective antioxidants and repair systems because it is not funny to survive 1000 years. I do not know if the effect of lotus nuts against aging is somewhat related to their own longevity, but at least it is (as a teaching about signatures) a good mnemonic aid. Another interesting feature of the lotus is its self-cleaning ability. Leaves and lotus flowers strongly repel water and mud, so that although they grow from mud, they are still clean. Even the lotus effect has been taken for this property. Not only are the organs of the lotus covered with wax, but additionally, this wax is a needle-shaped microstructure. The lotus effect also uses some species of cranberries and other aquatic plants, and of course it is also used in technology. Even the lotus flowers are very old-fashioned. While fast-growing plants have mostly small flowers oriented to specialized pollinators (bees and butterflies with a long beard), the lotus has a large, opulent flower pollinated by small beetles and other old-fashioned pollinators. They fall into the lotus blossom in the evening, because the flower closes for the night and its petal slices are completely imprisoned by the hotel guests inside. 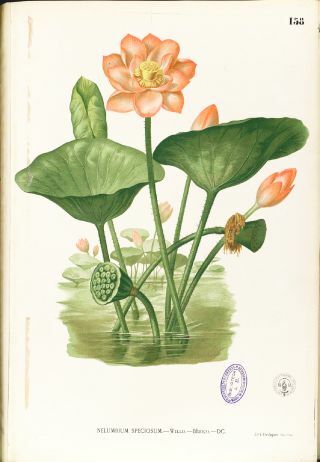 In a big flower, broucheans like a mejdan take care of food (the lotus creates an excess of nutritious pollen) and a fragrant night on soft flower chips. In addition, however, lotus flowers are also heated! Lotos is one of the few plants that have the ability to produce heat controlled by starch decomposition. In the countries where it grows, it is not too cold at night, but the beetles are still more chilly, so for their greater comfort, the lotus maintains flowers up to 20 ° C above ambient temperature. Closing guests crawl through all the corners of a big flower, feast, chatter and pair. In the course of the night many times a large blizzard and wreath of anthers, so when the flower opens in the morning, it is taken care of perfect pollination. For further study, serious people interested in this plant recommend the Paudel2015ppb review .